12:30 h.- Official opening. ENTRANCE ROOM 1. ‘Conseller’ of Sustainable Economy, Productive Sectors, Trade and Labor, Generalitat Valenciana, Rafael Climent. 16:30 h.- Presentation of the winning projects of the second edition of the Textile Design and Development Competition for Home Textiles of AITEX. ROOM ‘THE CUBE’. 17: 00.- Presentation ‘Cuaderno de Tendencias del Hábitat 19/20‘, of VALHÁBITAT project, by AITEX. ROOM ‘THE CUBE’. 15:15 h.- Welcome and presentation. 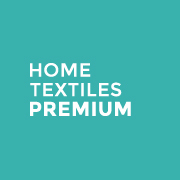 José Ramón Revert, president Home Textiles From Spain and Home Textiles Premium by Textilhogar Fair. 16:00 h.- ‘How will technology and networks connect to projects with textiles ?. Esther Márquez, responsible Barcelona Studio of Manuel Torres Design. 16:20 h.- Lecture by Inés Abramián, architect of Estudio de Arquitectura. 18:00 h.- Debate and Roundtable with speakers and open to the attending public. Closing of the meeting. 18:30 to 19:30 h.– Cocktail / Networking and end of the second day.